Composite decking is a practical, long-lasting alternative to real wood. It looks just as good and comes with a number of added benefits. George Davies Turf are a Key Distributors of products from Millboard Composite Decking, a leading name in the industry known for providing a number of high quality decking options. Composite decking is a practical, long-lasting alternative to real wood. It looks just as good and comes with a number of added benefits. 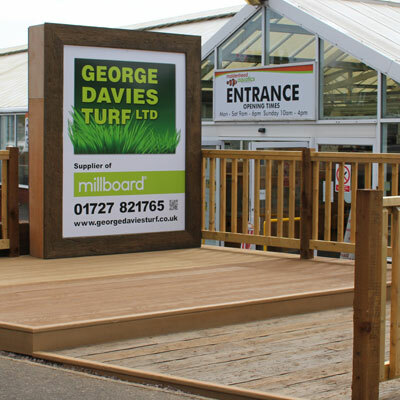 George Davies Turf are a Key Distributor of products from Millboard Composite Decking, a leading name in the industry known for providing a number of high quality decking options. Choose from a selection of wood effect finishes, each of which is beautifully natural in its appearance. The Enhanced Grain designs recreate the subtle nuances of real wood, and the Weathered Oak boards are distinctive and rustic, yet timeless. Composite decking has a number of advantages over real wood. It’s the logical choice for longevity as it’s built to last. Wood will receive a degree of surface damage and may even begin to warp or rot out of doors, whereas composite decking will hold its own during harsh winter weather conditions. It won’t fade and will retain its original features and distinctive appearance for years to come. The surface of composite decking comes specially manufactured and treated to give it anti-slip properties, improving the safety of your outdoor space. What’s more, you’ll be helping to save the environment – composite boards are far more eco-friendly. 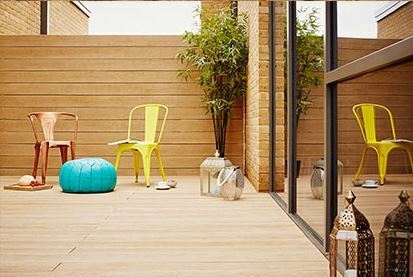 Millboard is made from sustainable composite topped with Lastane, a strong and slip-free layer which resists algae and requires virtually no maintenance. 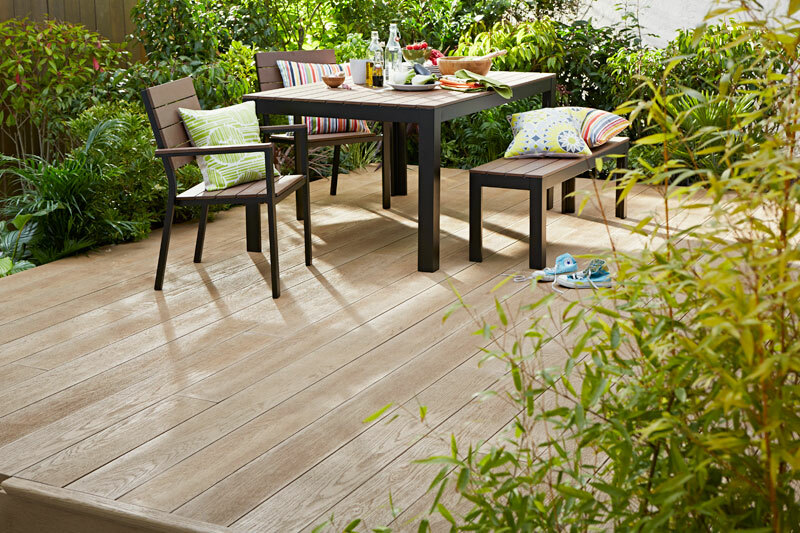 We supply Millboard decking in two designs – Enhanced Grain and Weathered Oak. 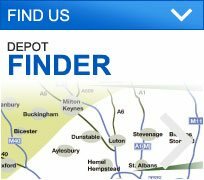 If you’d like to know more about our range of composite decking, get in touch with our team and we’ll be happy to talk you through the options.